Well we made it out of Sheldon…. barely. 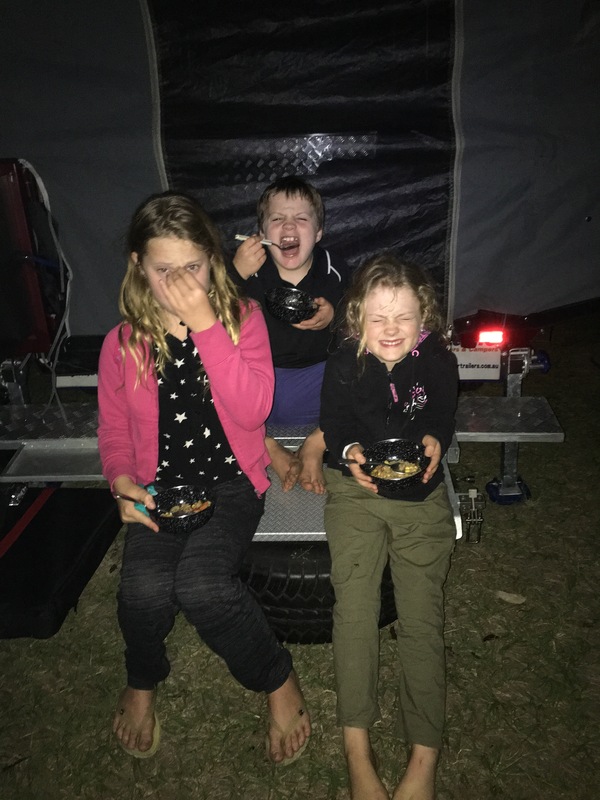 Frankie and the Tramp is all set up in a free camp spot just North of Gympie (or a mere 2 hours from home) and Ben is currently digging a hole for Isabelle to poo in. Welcome to my world for the next 5 weeks. The day didn’t go as planned but we are nothing if not flexible. At about 11pm last night Ben decided that Frankie was carrying too much weight at the back. No amount of “She’ll be right” could sway him so we delayed our departure this morning in order for Ben to install airbags under her rear. There was drilling, welding, making brackets, fitting things, taking wheels on and off, fitting shorter axles, fitting longer axles…. all in all a good 10 hours of Ben lying underneath a car working while I fannied about trying to look busy so he wouldn’t ask me to help him. So far nothing very interesting has happened. Isabelle lasted 30 minutes in the car before she needed to go to the toilet. Rohan fell asleep as soon as the car started moving and briefly woke at 10pm, when we arrived at our camp spot, to demand dinner. After inhaling his dinner he promptly fell back asleep leaving me to wonder whether he actually woke up or whether it was his subconscious demanding food on his behalf. Jazzy is allergic to one of the trees here at Bauple and has already drenched one of her hankies. Jazzy’s hayfever is a nice lead in for me to talk about one of my brilliant camping ideas (of which there are many but I’ll try not to bombard you with too much brilliance all at once). 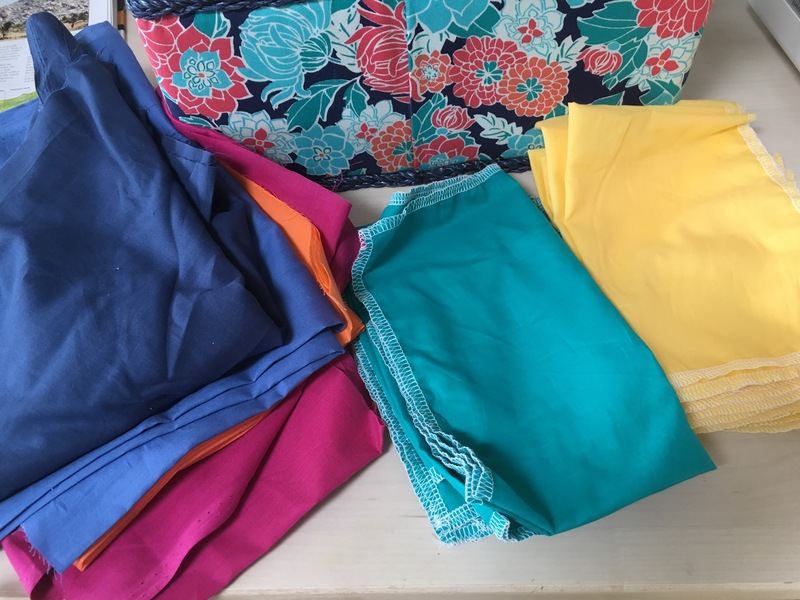 As most of my offspring, and Ben, are cursed with allergies to all sorts of things and constantly require some kind of snot rag, I imagined the trip would be spent with me frequently screeching “whose tissue/hankie is this?! ?” (I hate snot) To alleviate this problem I decided that everyone would have their own coloured hankie. 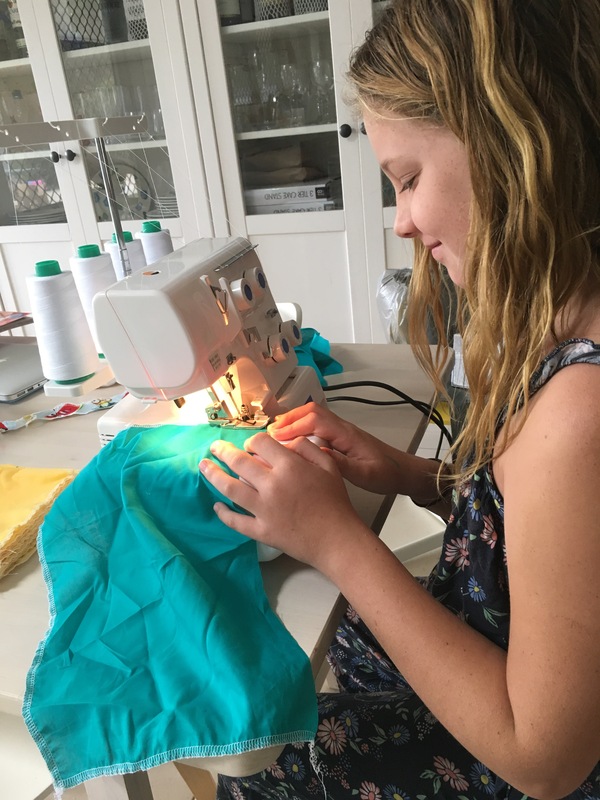 I enlisted my little seamstress, Jazzy, to whip them up for me and now if I see a hankie lying around I can immediately determine who the owner/culprit is depending on it’s colour. I had envisioned that we would make it half way to Cairns today so I am totally unprepared for this Southerly cold. We are all in bed at the moment freezing our buts off. I’m going to leave it there for today as I want to get to sleep. I was separated from my huggy pillow last night (she was packed in Tramper) and I slept terribly. I am soooo excited for our reunion tonight. Eating dinner at 10pm in Bauple.